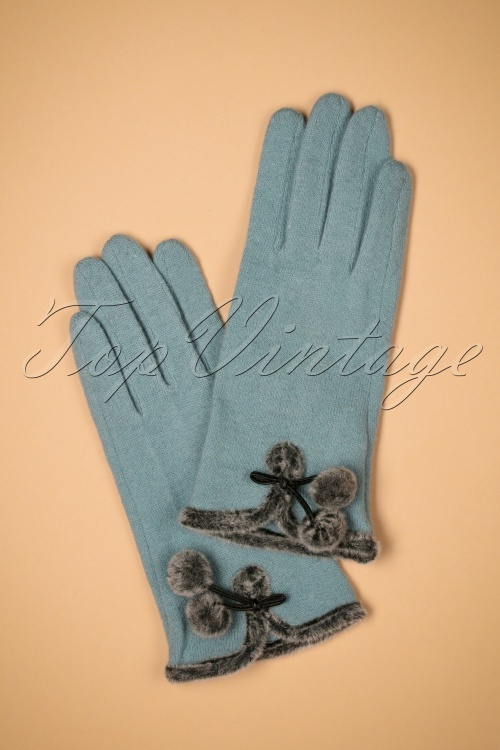 These 40s Betty Pom Pom Wool Gloves in Ice Blue are elegant, ladylike and fun! 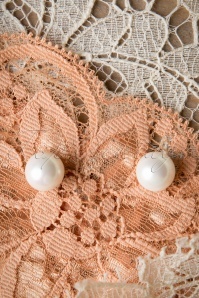 In the 1940s gloves were usually worn for formal occasions such as an afternoon gathering, shopping, visiting friends or going to a chic lunch. 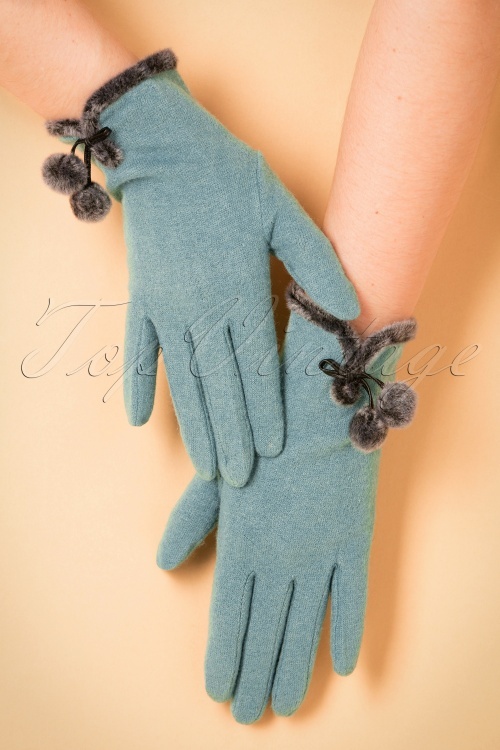 Times have changed and you can obviously wear these cuties anytime you want to ;-) Made of a soft ice blue wool blend that will keep your hands warm, featuring fake fur trims and playful pom poms! Bring on winter!